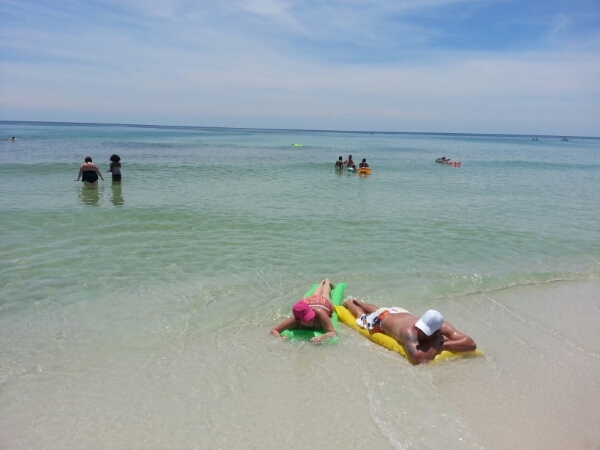 are located on the Pensacola Beach Boardwalk across from Bamboo Willies. Good afternoon! 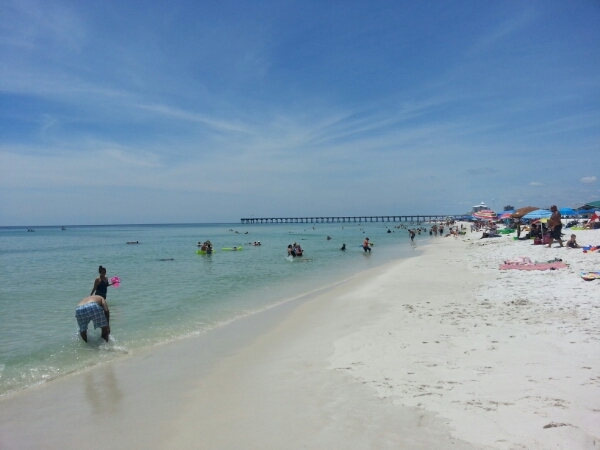 It is a gorgeous day out here on Pensacola Beach. 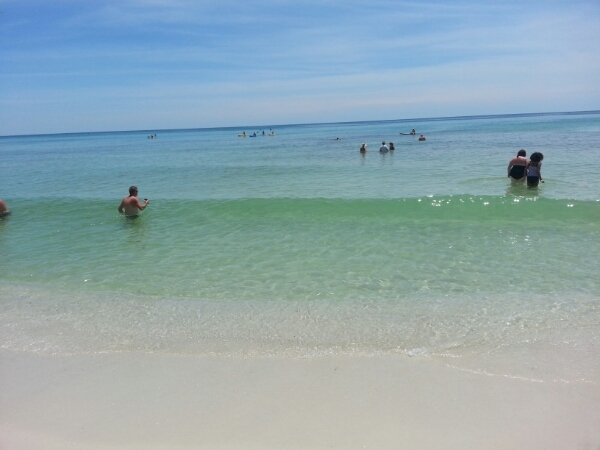 The surf is flat but it is still beautiful out here. 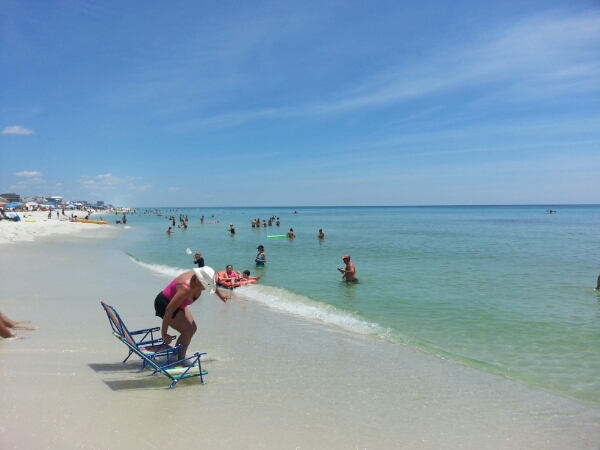 The winds are coming out of the NNW at 4-5 mph causing for offshore and flat conditions. 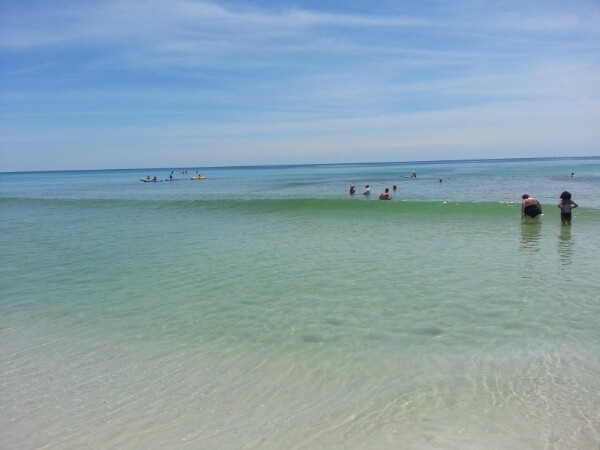 The water is crystal clear and it is so very nice being out here on the beach!